My dad was an avid photographer. 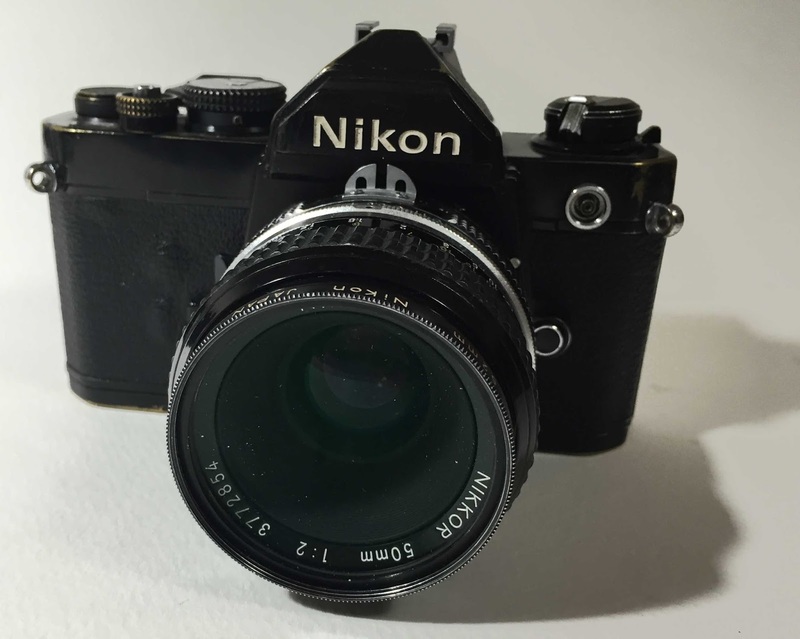 One of the last film SLR's he had was a Nikon FM. A compact, but rugged SLR. After he passed away, my sister gave me a box of camera equipment she was holding. In it was all sorts of camera / darkroom equipment. One item included was a Nikon MD-11 power winder. 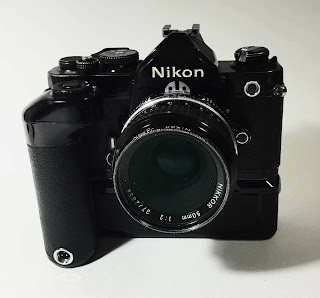 Cool, it was an exact match to my dad's Nikon FM which I had been given earlier. 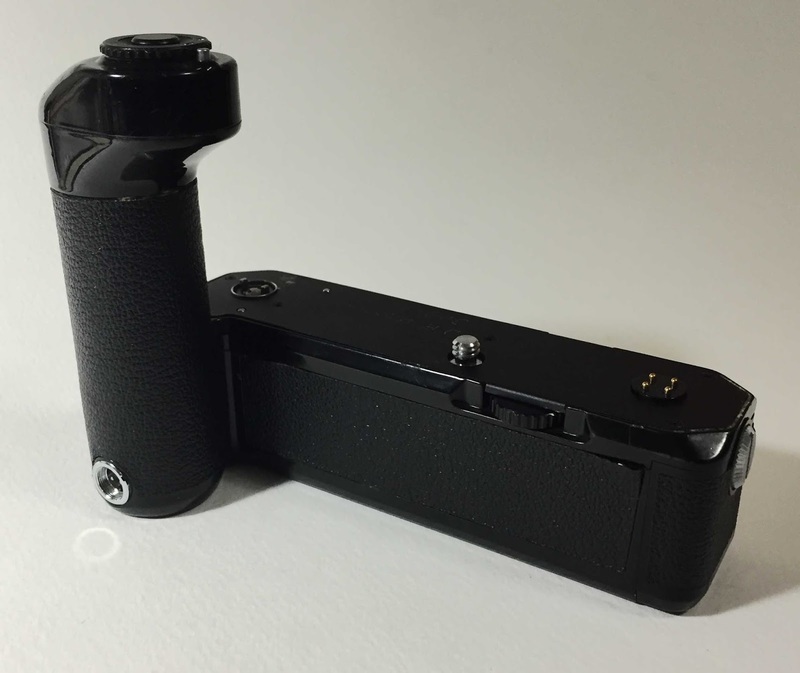 I was excited to give it a try because I've never had a power winder on any of my Nikons. It mounted perfectly. I loaded it with 8 batteries, but alas it doesn't work. All the terminals are clean & the batteries are new, so I suspect there is something wrong with the internals. Anyway it looked cool on the camera. Not to worry the camera still works fine without it.